Choosing the right plants is the core element behind a quality landscape. We believe in planting the right plant in the right place in order to have healthier trees and shrubs. Our specialists and skilled personnel work together with you to determine which plants suit your site, lifestyle, architecture, environment and theme. Trees and shrubs that are planted in an environment that suits them able to ward off insects and diseases and live longer, healthier lives. 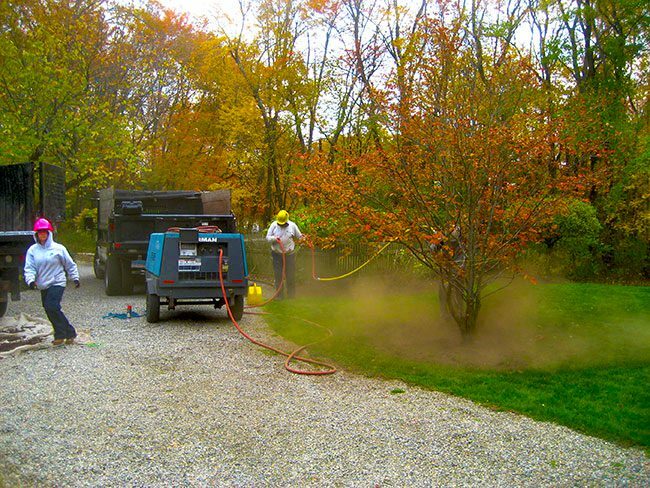 Occasionally, trees and shrubs can become sick due to urban stressors, insects or disease problems. When this happens, our arborists are available to diagnose these problems and suggest the right solution for the situation. We also offer complete Tree Care, Landscape Services, and Organic Services. Plants, shrubs, and trees are susceptible to damage from disease and insects. 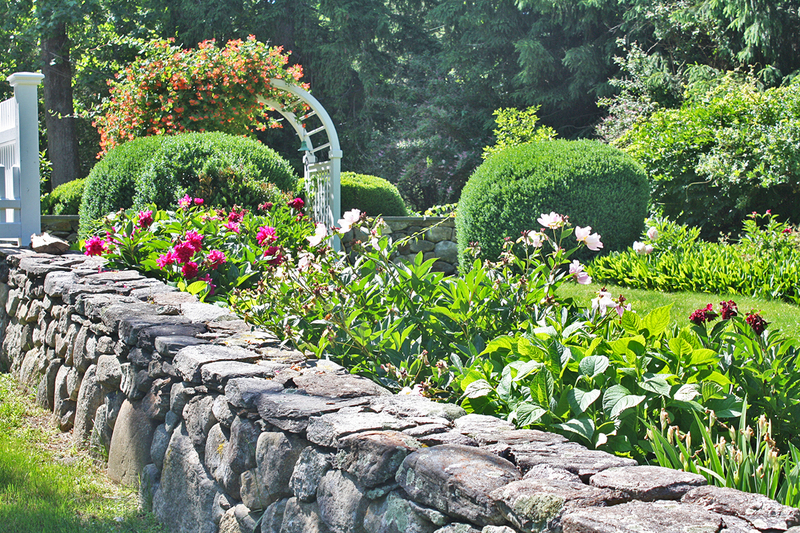 At Northeast Horticultural Services, we provide plant insect identification, plant disease diagnosis, and plant health care services in Fairfield, Weston, Westport, Connecticut, and the surrounding areas. 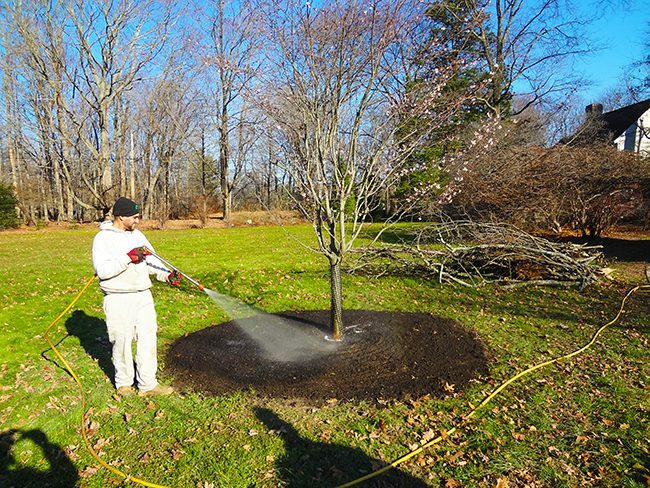 Our goal is to utilize integrated pest management strategies that are customized to the needs of your landscape in order to reduce insects and disease, and to prevent future damage or destruction of the foliage in your home. We have extensive knowledge and applications to cure a wide variety of diseases and pests, and restore the health and beauty of your landscape. The most important component of resolving plant health care problems is to accurately evaluate and identify the source of the disease or infestation. Our expert technicians begin by assessing your landscape for accurate plant disease diagnosis and plant insect identification. 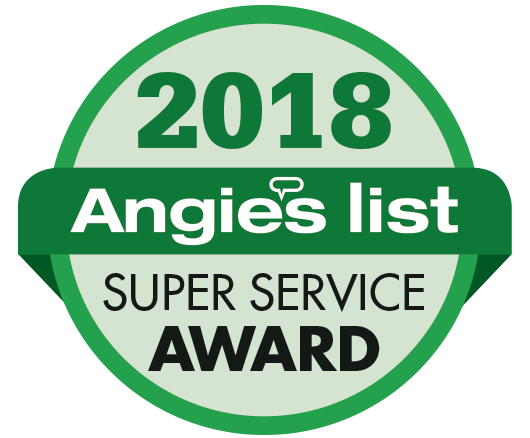 Based on the results of our assessment, we look for preventative measures to ensure that each plant in your garden or backyard is located in the right place and implement effective strategies for plants that are very susceptible to certain pests and diseases. We take the time to understand the problem and provide a customized solution for every client. 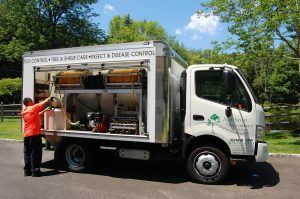 If you need a certified arborist in the areas of Fairfield, Weston, Westport, Connecticut, and the surrounding areas, we offer insect and disease management service. 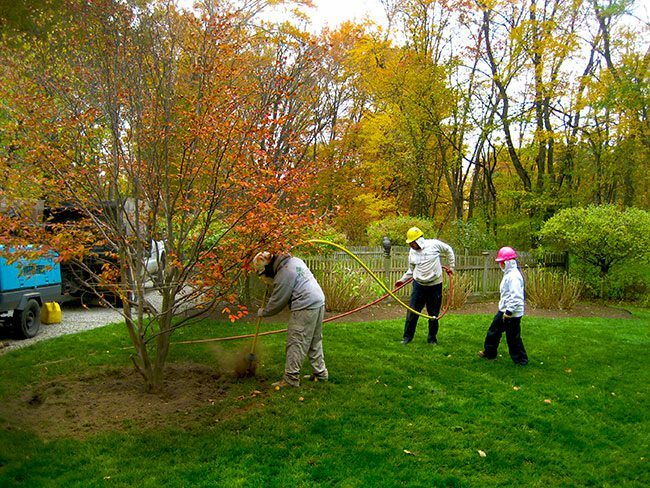 We also provide plant, shrub and tree maintenance service to meet the exact requirements for your landscape. Additional information about our services can be found on this website and we encourage you to contact us to discuss your needs with an arborist. The key element in making a successful landscape is healthy plants. Since a major source of nutrients for plants is the decomposition of leaves, removing leaves from the cycle is detrimental to plants. 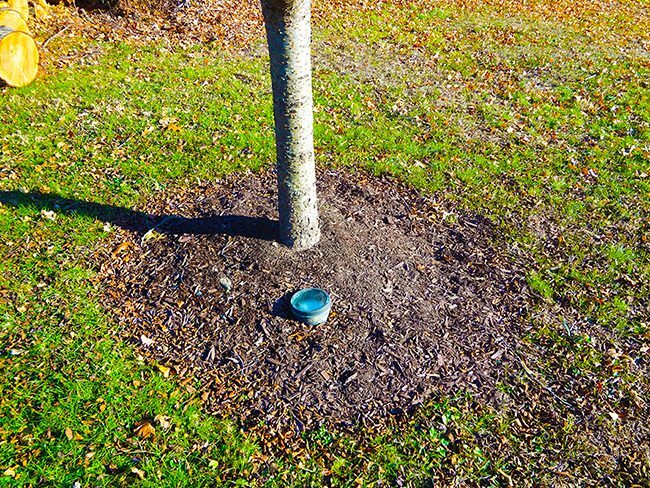 Add in the fact that trees and shrubs compete against each other and the lawn for the nutrients that are available, trees and shrubs can be easily stressed. In all of our Plant Health Care programs, we use Integrated Pest Management tactics as often as possible. The goal of integrated pest management is not to eliminate all pests; some pests are tolerable and essential so that their natural enemies remain in the landscape. Rather, the goal is to protect your valuable landscape plants using low impact methods and ingredients to minimize populations of insects & mites, while maintaining environmental sensibility. We start by using a pro-active approach to assess your property. By determining which species of plants, their location and condition first, we can then determine a course of action that will protect your landscape with minimal impact on the environment. The control tactics used in integrated pest management include pest resistant or tolerant plants, and cultural, physical, mechanical, biological, and chemical control. 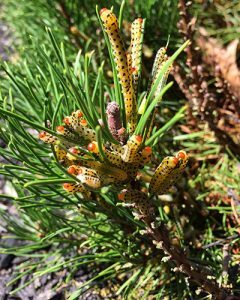 Northeast Horticultural Services applies multiple control tactics to minimize the chance that insects will adapt to any one tactic. 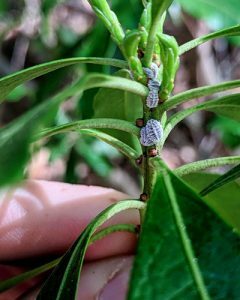 By having our trained technicians routinely monitor your property, we can catch insect and disease problems for both your plants and trees before chemical controls would be necessary. Having your property monitored regularly will greatly reduce the amount of pesticides used in your plant health care program. 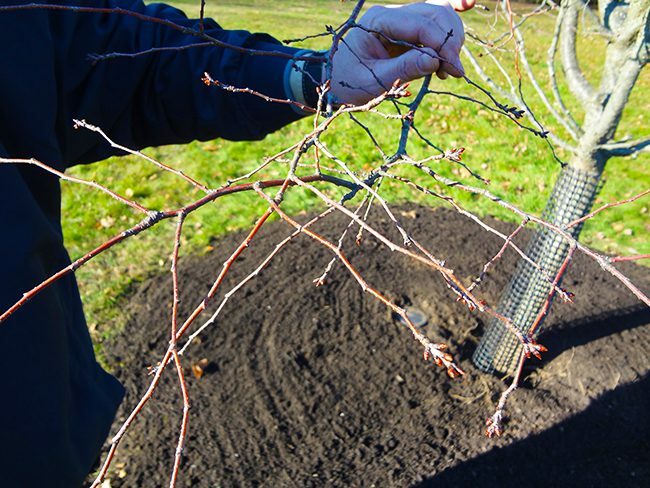 One of the wonderful new advancements in tree care and preservation is the air spade. 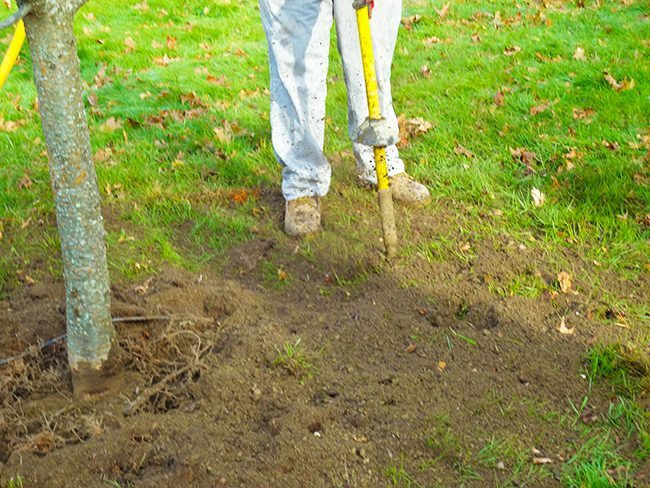 It is quickly replacing the chainsaw as the tool of choice for many arborists as it can be used to provide a myriad of benefits for trees.The air spade allows for the quick and non-destructive excavation of soil for a variety of reasons. 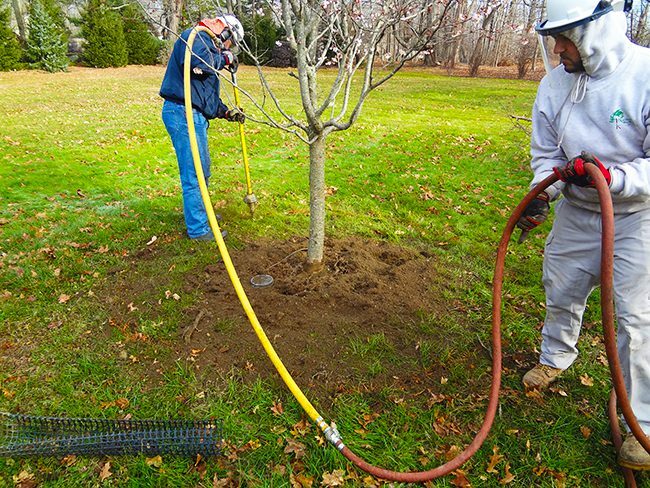 It is used a labor saving excavation tool that can be used to plant flowers and shrubs under the dripline of existing trees, it can create trenches in areas with utilities without disturbing root systems and help save time when doing root flare injections. It is great as a diagnostic tool for sick trees. When we see problems in the above ground parts of trees, it is generally associated with a problem that started in the root system. The air spade provides a way to check out what is going on within the root system without causing damage to the root system itself. It can be used for root collar excavations to exposing girdling roots so they can be remedied or to remove excess soil over the root flares to alleviate stress. It is also used for root collar exposure for the treatment of root rot diseases. And most importantly it can play a pivotal role in saving damaged trees by providing root system enhancements. It can alleviate soil compaction caused by construction damage and provides improved aeration to encourage new root growth. 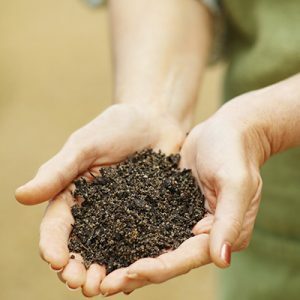 It can also be used to incorporate organic matter that is needed to provide healthy soil that is teeming with biological activity that tree roots so desperately require to flourish. If you have trees that are suffering and not flourishing, let us know. We will come out and assess the tree and see if it is a good candidate that will benefit from air spading technology. The roots of the tree are the means by which the tree obtains water and nutrients. They also provide anchorage of the tree in the soil. Both of these functions are essential for a healthy, stable tree. 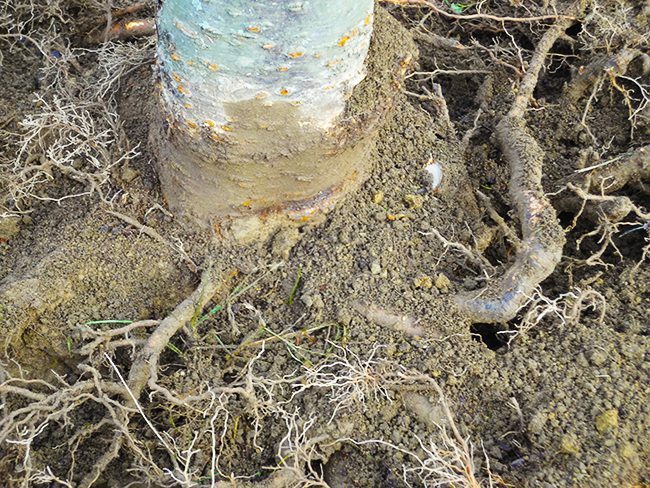 Tree roots are easily damaged by changes in soil level, trenching, soil compaction, drought and erosion. 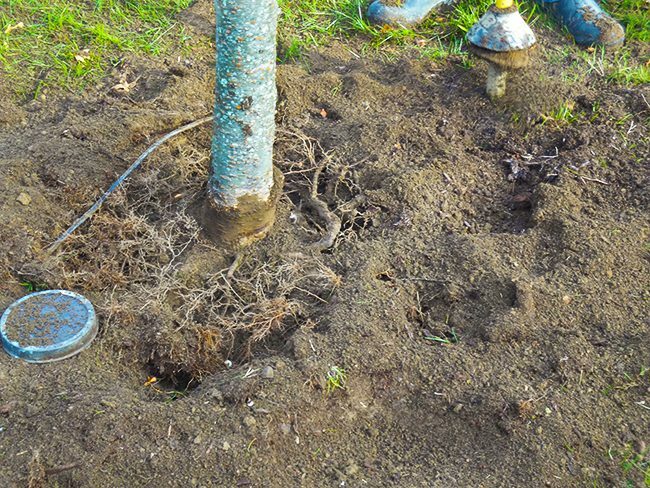 Tree roots can also be problematic, sometimes causing damage to footpaths, walls and underground services. If we wish to protect trees, and protect infrastructure, it is essential to start with the roots. A gorgeous, healthy landscape begins with soil testing. Testing the soil is an important step in determining the fertility and health of the soil, and discovering how to ensure optimal growing conditions for your plants. 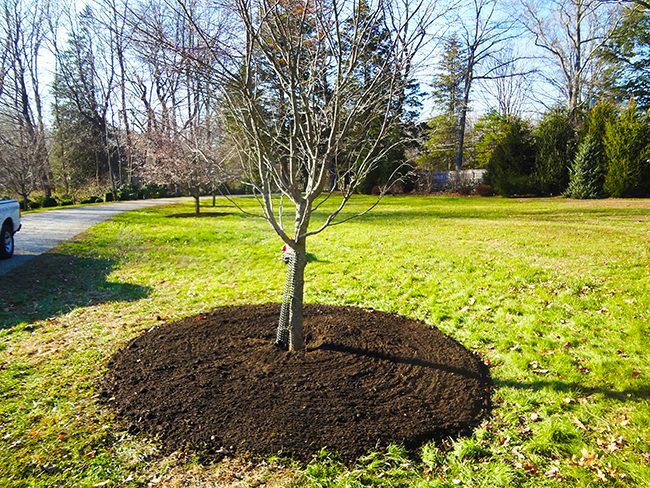 At Northeast Horticultural Services, we offer soil analysis services in Fairfield, Westport, Weston, Connecticut and the surrounding areas. Soil testing offers several advantages for improving your landscape, particularly when you consider that most soil is lacking at least one essential nutrient. Soil that is nutrient deficient stresses the plant and results in insufficient growth and poor plant health. If you want to improve plant health, soil analysis will provide the information you need to diagnose the source of the problem with your plants. Northeast Horticultural Services provides comprehensive soil analysis and detailed reports about the current health of your soil. Whether your goal is to improve plant health or maximize crop productivity, we offer testing services to identify problems with your plants and recommend the best way to improve the soil. Standard testing services measure the calcium, magnesium, phosphorus, potassium, and pH level of the soil. In addition, a standard test will provide information about the base saturation, cation exchange capacity, and lime requirement index. If you require more information, additional testing can be done to measure the zinc, iron, manganese, nitrates, soluble salts and organic matter in your soil. 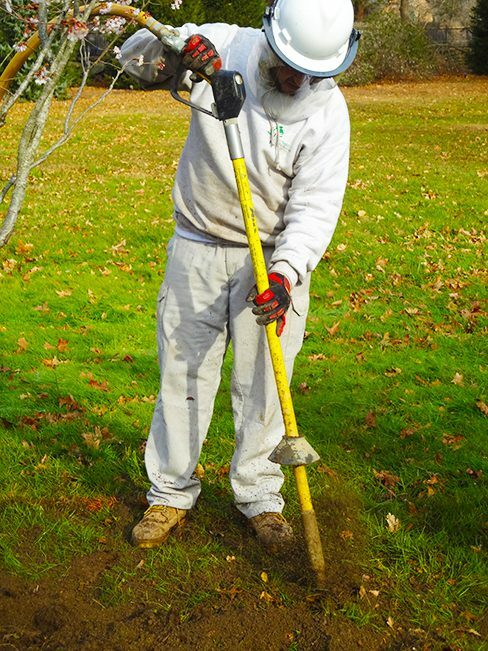 If you require professional soil analysis in Fairfield, Westport, Weston, Connecticut, or the surrounding areas, please contact Northeast Horticultural Services today at 203-375-0553. Here in Connecticut the threat of ticks carrying Lyme disease is very real and can be life shattering. We have many proven methods of controlling ticks. 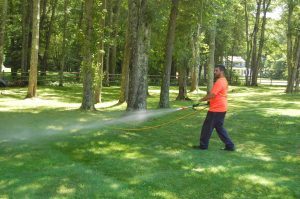 the most common method is spraying your yard and property. There are three different levels of control, completely organic, natural and synthetic. All three types of control are applied in the same way. 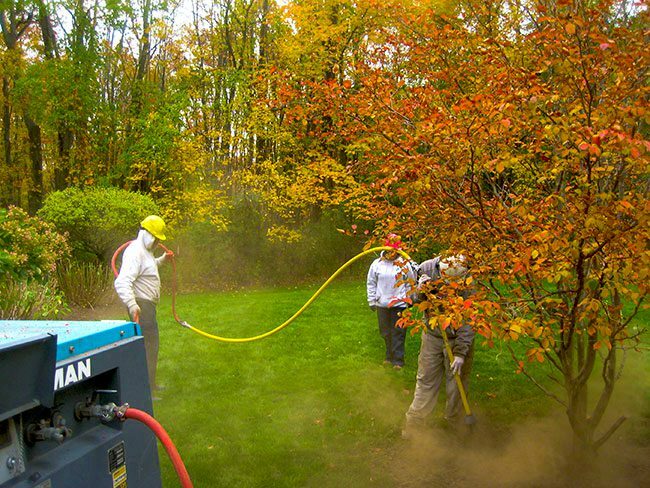 We spray the brushy and leafy areas where ticks thrive and the perimeter of the property to create a continuous treatment barrier with a generous amount of product, and then we lightly dust the turf areas. 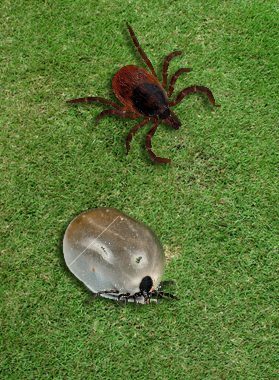 Ticks typically do not dwell on turf areas so we prefer to keep the amount of product used to a minimum, especially when synthetic and natural products are used. NEHS highly advocates the use of completely organic products. While deer fencing works best, we also recommend cedar woodchips as the scent repels deer. We also use an organic product that is composed of cedar oils and a derivative of raspberries. These are completely safe to you and I and completely toxic to ticks. These are also applied with a surfactant and have a small amount of residual control but need to be re-applied. The natural pesticides are chrysanthemum derived and are less toxic to the environment. The natural pesticides have no residual effect and need to be applied more than three times per season. We suggest that these be applied 5 to 7 times per season depending on the weather. When confronted with situations where we must use chemicals, we time the application based on the life cycle of the tick for maximum effectiveness and minimize chemical use. Synthetic controls require the use of pesticides. For those that have decided that synthetic pesticides are ok to be used in their yard, we recommend only three applications a year. these are applied with a surfactant that allows the chemical to stick to whatever it is applied to. they have a residual effect and can remain actively affective for up to three months. These three yearly applications are based on the life cycle of the tick. We apply in April when the immatures are turning into adults and looking for a blood meal. The second application is in mid-summer at some point depending on the weather to knock down any ticks that have been brought into the property via rodents and deer, and the last application is made in October when adult females who are looking to breed need a blood meal. We have found that by timing these applications correctly, after two years the tick problem is virtually eliminated. Excellent service. They removed a huge branch that came down in a storm, they were so quick and neat, you couldn’t even tell they were here when they were done, completely picked up all debris. Extremely reasonable prices, too. Highly recommend! Last week I had 8 100 ft tall trees removed from my property. Northeast did a fantastic job, they cleaned up any mess there was… and to boot, they were just all around cool people! Very reasonable prices! I’ll be using them again! Knowledgeable, professional, conscientious, highly skilled, reliable. Great team lead by Stacey Marcell. Thank you for your excellent work. I agree with those who are pleased with how Northeast Horticultural has expertly removed trees.They have taken down several trees for me over the years. Great job and fantastic and caring crew. But it’s worth mentioning the amazing landscaping work that they do,too. Stacey and team have been working on my property for more than five years and have helped transform my yard into a beautiful, flowing relaxing garden. I’m looking forward to many more years of working with them to take care of all the trees and plantings and help us fully enjoy the outdoors. I would highly recommend Northeast Horticultural for any kind of tree work. They were truly professional from the time we met with Stacey, to the crew of workers. They were on time and worked vigorously until the job was complete. Before leaving they walked the property to make sure that it was clean and no debris was left behind.Thank You, Stacey and your crew for a truly wonderful job. 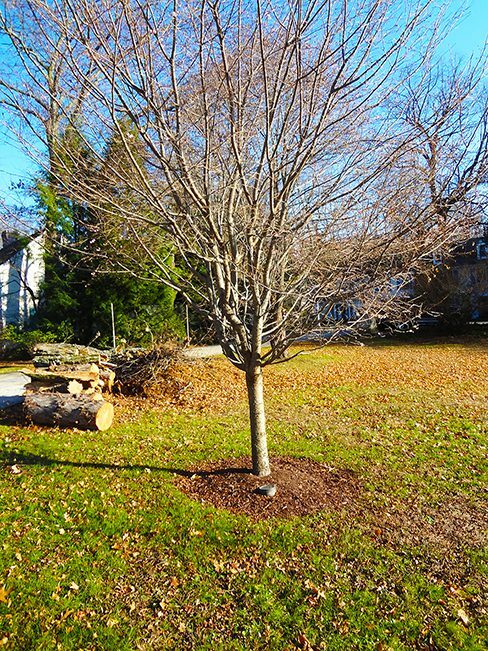 It was my pleasure to work with Northeast Horticultural Services when my large, much loved Mulberry tree needed care. Each member of the team, from the arborist who diagnosed the tree’s condition, to those who removed a leader and the deadwood, to the person who applied a systemic injection into the root zone to improve soil biology and allow the tree to maximize soil fertility for increased health and vigor, each one answered my questions, giving me confidence that my Mulberry was getting the professional care it deserves. We are so pleased with the work you did at our home. You were professional, courteous and took time to explain the proper course of action. We had trees pruned, shaped and cabled as well as two trees removed. Your crew worked tirelessly throughout the day – even in a steady rain. When they left there was no trace of all the work they did. Clean up was that complete. We will definitely be in touch when the need arises.